System Preferences > Desktop and Screen Saver. Many to choose from. Note: You won't find the fff. 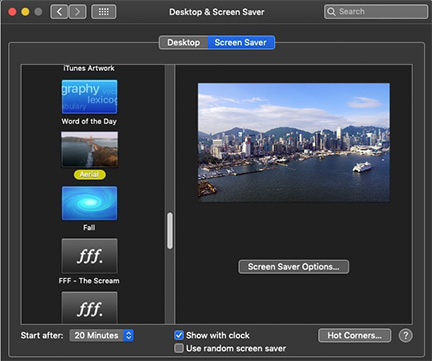 screensavers in your list. They're old and I'm not sure they work. Not the answer you're looking for? Browse other questions tagged mojave screensaver .